Things are about to get hairier. While the first “Secret Life of Pets” showed the hidden lives of household pets — in the vein of “Toy Story” — the first trailer for the sequel shows the insecurities and worries your pets think about when they’re dragged to the vet. That’s hardly the biggest change to the upcomingfilm. “The Secret Life of Pets 2” has re-cast Patton Oswalt in the role of the lead dog Max, a part originally voiced by Louis C.K. The comedian was dropped from the film back in November 2017 after he admitted to sexual misconduct. Other new additions to the voice cast include Harrison Ford, Tiffany Haddish and Nick Kroll, joining Kevin Hart, Jenny Slate, Eric Stonestreet, Ellie Kemper, Lake Bell, Dana Carvey, Hannibal Buress and Bobby Moynihan. Chris Renaud is returning to direct and Brian Lynch wrote the screenplay to the sequel. “The Secret Life of Pets 2,” from Illumination Entertainment and Universal Pictures, opens in the summer of 2019, originally pushed back from June 2018. Illumination’s “The Grinch” opens this Friday. Oh, the places you'll go. 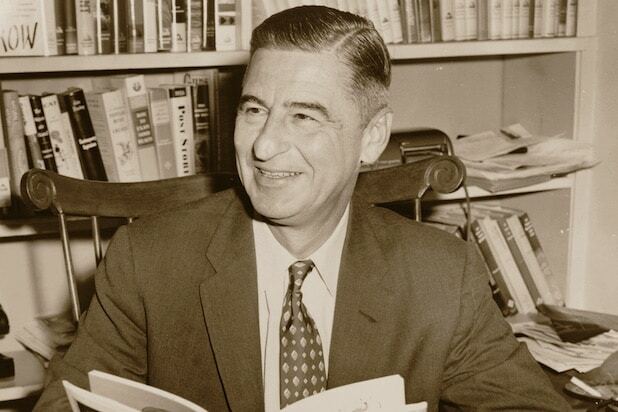 Dr. Seuss's legacy runs far and wide, with his children's stories being adapted into cartoons and live action films alike. Here we rank all 10 of Seuss's film features and beloved TV specials. Al Ravenna, New York World-Telegram and the Sun staff photographer - Library of Congress Prints and Photographs Division. New York World-Telegram and the Sun Newspaper Photograph Collection. The live action adaptation of Dr. Seuss's classic book is insultingly awful, trading in gleeful whimsy for madcap cynicism. Mike Myers is goofing off instead of playing a charming scamp. As a fable, "The Lorax" is about as dark and complicated as Dr. Seuss gets. This light and colorful animated film featuring Danny DeVito and Taylor Swift, which is a combination of "Minions" meets "WALL-E," certainly isn't that. This short is faithful to Dr. Seuss's work. It's a story about two rival races of people divided by a wall, based on their differences over how they butter their bread. But the songs are flat, and the animation isn't much better. Though it's incredibly cheesy and the Whoville makeup is a joke, Jim Carrey brings his overly-exuberant charm to the story, even if he looks a bit silly. Taking cues from the cutesy "Despicable Me" movies, Universal's "The Grinch" with Benedict Cumberbatch has more elaborate animated mayhem than grouchy, mean-spirited fun and wordplay. The inoffensive charm is there, but the film's heart is two sizes too small. "The Lorax" begins and ends in a grim, polluted world, using music and rhyme to chart how industry can harm the environment. Its message remains poignant and hopeful that a new generation can save nature. The best of the modern Dr. Seuss adaptations, Jim Carrey voices another Seuss character for this delightful, madcap romp. "Everything back in its proper place, no more rainbows for us to chase." This version of "The Cat in the Hat" takes some liberties, but it lovingly and musically captures the spirit of Dr. Seuss's iconic character. "A person's a person, no matter how small." This Chuck Jones-directed TV special is beautifully animated, faithful to the story of acceptance of everyone and a joy from start to finish. The songs are indelible, the lessons are heartwarming and the animation is impeccable. "The Grinch" isn't just the best Dr. Seuss adaptation, but one of the finest animated shorts of all time.